OH MY GOODNESS. I loved this book so much. On Goodreads it says I’ve been reading it for a while, but I read this in one day. 410 pages in one single day. Seriously this series is becoming one of my favorite series! This is the second installment in the six book series (SIX BOOKS!). In this book you follow Aleks Vasin down to the south of his country where he tries to find what he wants to do. He enlists in the army because no one in his family has, and having four successful older brothers, he needs to take a different path. He quickly finds out that this military camp in the south of the country is brutal and violent. There has never been a chance that he’ll get to fight the way he wants to coming from this camp. He wants to travel. He has wanderlust that he needs to fulfill. I know that is a long quote, but I couldn’t help but share it. By page 28 of this book I had already related to Aleks on so many levels. I have wanderlust. I want to travel. I want to see the world, just like he does. Seriously this book was so amazing. I loved the romance in this story. It wasn’t rushed, which I find YA relationships often are, so I appreciated that. There was adventure. There was action. There was an element of mystery. This book had something for everyone. The friendships in this book just warmed my whole person up with happiness. SO GOOD. This being the second book in this series, I don’t want to spoil anyone, but please just read these books. They’re not very popular, and I’ve never seen anyone review or talk about these books. The third book comes out in March, and I can’t wait to read it. Just give it a try! Huge thank you to Iain for sending me his book to read! Like I always say, being able to connect with authors is my favorite part about blogging. Kitty Hawk is just a normal teenage girl, except she loves flying her plane instead of driving a car. She loves being able to take adventures and travel where she wants, so she decides to follow another passion of hers and learn more about her favorite animal: the humpback whale. 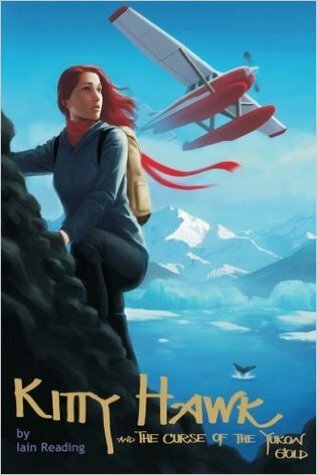 She decides to fly to Alaska to stay with her best friend’s family and research whales in the ocean and in inlets while flying her plane. Her adventurous summer of whale watching turns into a crazy adventure with gold smugglers after she finds herself in a sticky situation with some brothers and a cooler full of gold. Starting off, this book was pretty slow for me. I didn’t really understand why she was going to watch whales and the title was about gold, so right away my interest wasn’t peaked. I would have enjoyed this book much more if she would have gotten involved with the Yukon Gold earlier in the story. It took half the book to even be introduced to the characters she would soon become friends with. After she had met the guys and had started the real adventure, I thoroughly enjoyed it! The second half of this book held my attention, and I’m excited to read the next book of this series. Kitty was a cool main character to read about, and I liked the relationships she had with the brothers. I wanted her and Charlie to be a thing, so I can hope in the books to come. It’s my prediction that Charlie will insist upon going around the world with her, but all I can do is hope ;). Although it took me quite a long time to read this book, I am excited to read the series. I love adventure books, and don’t get a lot of them in my everyday reading life! It’s been a month since the new dropships landed and the rest of the Colonists joined the hundred on the ground. The teens, once branded juvenile delinquents, are now leaders among their people. It should be a time for celebration and togetherness, but a new threat appears before long: a fanatical cult determined to grow its ranks and “heal” the war-ravaged planet . . . by eliminating everyone else on it. After scores of their friends are captured, CLARKE sets off to retrieve them, certain that she can come to an understanding with these strangers. BELLAMY has a different plan; he won’t let anything–or anyone–get in the way of saving the people he loves. Meanwhile, in captivity and scared for their lives, GLASS falls under the spell of the cult’s magnetic message, and WELLS has to learn how to lead again. Unless the rescue party arrives soon, the teen captives will face a fate more terrifying than anything they could imagine. If the hundred ever want to call this dangerous planet home, they’ll need to put aside their differences and fight to protect themselves and their world. Great ending to a unique and addictive series! I loved the first book when I read it back in June of 2015. If I remember correctly, I read that book in one day. 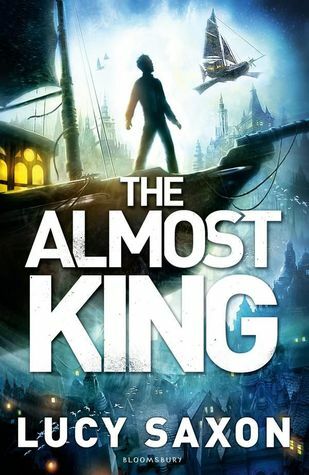 The second and third books weren’t as great as the first, but were still enjoyable, and this book was a wonderful closer. There were some problems with this book, but overall I really enjoyed reading it. I read most of the book yesterday, minus 30ish pages. The thing with Kass Morgan’s writing is that you really fly through it. This is one of the instances where multiple perspectives actually enhances the storyline. I am usually not a huge fan of multiple perspectives because it gets kind of confusing. I get confused with dual perspective sometimes! But, Morgan really makes the characters very distinctively their own so it’s easy to understand who’s who. This book starts out way too good to be true. The original 100 and their families and some of the Earthborns are living in harmony down in a settlement. They’re having this huge festival to celebrate being together and celebrate their harvest for the year, when they suddenly get attacked by a cult who call themselves The Protectors. Pretty ironic. These Protectors bring some of the teenage/young adult characters into their fortress which they call Stone. There, the men have to train and be very strong, and the women are the leaders. The leader of this cult, Soren, takes a liking to Glass and takes her as her maid. Glass gets inside information, and she helps let everyone know the best ways to escape and get back home. What the prisoners on the inside don’t know, is that Bellamy, Clarke, and a few others are outside waiting to come and save them. I really enjoyed the suspense of this book. There was almost always action or plotting going on, and it was cool to see some of the characters take to becoming leaders. 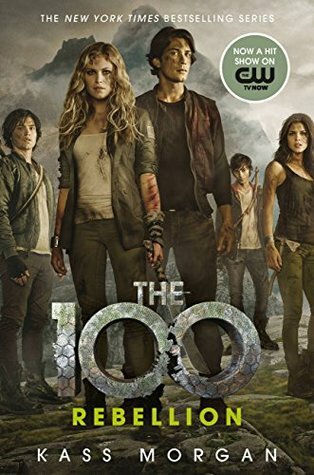 Some of my problems with this book dealt with the romance between Bellamy and Clarke. I have been shipping this since the first book, so I could overlook some of the cringe for the good parts. Bellamy is VERY sensitive and doesn’t understand why Clarke doesn’t trust him. So he becomes very jealous of guys around Clarke. He is a baby about some things, and he and Clarke overreact to some situations. I mean you’re trying to save your friends right now; band together and help them. But such is life. You have to have some teen angst. If you’ve read The 100 series and are hesitant to pick up this last book, please read it! It’s definitely worth it! I definitely should have read this when I read the first part of the series, because I loved it so much. Seriously, these books are just as good as everyone says they are and I am so glad that I read this at the beginning of this year. 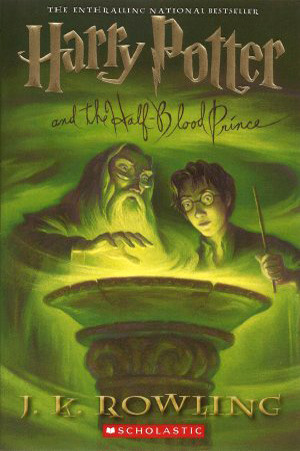 I can’t wait to finish the series out with Deathly Hallows. OH MY GOSH. I loved this part because Harry had always said that he’d be safe when he was with Dumbledore, so whenever he was about to be in trouble Hermione, Ron, and Ginny told him to make sure to stay with Dumbledore because he was safe. Then Dumbledore said the same thing about being with Harry and it was just so precious. I don’t even know how to feel about this book because there were a lot of emotions. I can’t believe Snape. What an awful guy, like wow. I just want to say, though, that Harry and Ginny together was super cute. Even though they were only together for less than half the book, they were just so dang precious together. I loved seeing the way that they interacted with each other, and when Harry said or did something then immediately got Ron’s approval so then he wouldn’t be in trouble. Ahh so cute. Okay back to the Death Eaters… I feel bad for Draco because he didn’t really know what he was doing. He obviously didn’t want to kill Dumbledore, but he’s still a bad person for assisting. I know he felt that he had no choice, but Dumbledore gave him a choice. I’m anxious to see what characters turn up in the next book because I want to know how took the Horocrux. I want to see how Bill fares with his werewolf bites. I want to know what happens to Malfoy. I don’t remember what happened in the movies near the end. I think I just didn’t register the reality of it because I had never understood the real meanings behind things. I am also excited to learn more about the Deathly Hallows symbol and the story. Ahh I think I’m going to read the last book by the end of the month. GUYS GO READ THESE BOOKS IF YOU HAVENT. The Winter Biannual Bibliothon is a readathon set up by booktubers involving reading and video/post challenges. I will be participating in the reading challenges from January 8 until January 14. Two challenges can be combined for one book. I’m very excited for this because it’s been awhile since I’ve participated in a readathon! I have been so impressed with this series since I read the first one in July. I have fallen in love with the time travel aspect and the different characters of the novels. I love getting to connect with authors, so it’s always wonderful when I get the opportunity to collaborate with them. Mary Beth and her sister, Piper, meet two boys through seeing a “trespasser” on their vacation property. Mary Beth sees Mark Ryan, a college senior straight from the 50’s, wandering around outside the house she’s staying in for their vacation. She goes out to talk to him and see what he’s up to, and then finds out that time travel is possible. Not only possible, but very real. And happening in the basement of the vacation home. Mary Beth learns to trust Mark quickly, and decides to travel to 1959 with Piper to go on an adventure. The sisters learn to love the time period and overcome past heartaches through falling in love with Mark Ryan and his brother Ben. The four friends experience the culture of the 1950’s and become unable to let go when the idea of returning to 2017 is proposed. Through the lives of the Ryan brothers, the sisters don’t know what to expect on their return trip to the 2010’s. Wow. I highly recommend this series. They’re so well written and so much fun to read. This is definitely my favorite of the whole series, and I can’t wait to read more books written by John. The romance between Piper and Ben was so precious. They loved each other so much and it was so heartwarming. 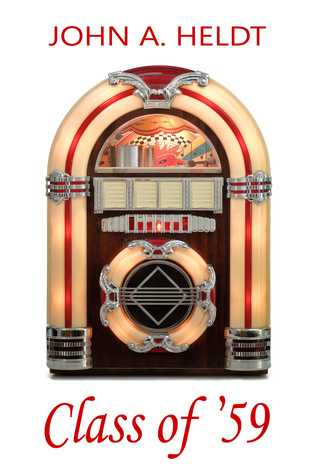 I loved following their journey through the six weeks they spent together in 1959. Ben cared about her so much. He wasn’t just looking for someone to kiss; he was looking for love. I honestly saw so much of my relationship with my boyfriend in their relationship. Piper didn’t know what to think of him right away, and didn’t say things she didn’t mean to him before she knew what she meant. I love how real this relationship seemed. I hate when people say that high school relationships don’t go anywhere because “you’re too young to know what love looks like.” BS. Love happens differently for everyone, so I loved seeing them fall in love. I, again, can’t recommend this series enough. Please go and give it a try, and support John!